If logic applied, the Trump wines (i.e. a project with enough built-in cynicism owned by teetotal reality-TV-star-turned US President Donald Trump) should be reliably terrible. But these are extraordinary times, as Adam Curtis explains in his political documentary HyperNormalisation; and in 2017, we prefer to retreat into a simpler world rather than face the huge complexities of politics today. And, he argues, this trend began 40 years ago. That’s about the same time as the Judgement of Paris tasting of 1976, where Californian wines were pitted against the French greats and won. After the “A Judgment of Our Times” blind tasting, for a brief moment, I felt outrage similar to Odette Khan after the original tasting. Organised by Evening Standard drinks writer Douglas Blyde, and James Hocking, wine director at The Vineyard Cellars and The Vineyard Hotel, we arrived with no idea of what to expect. 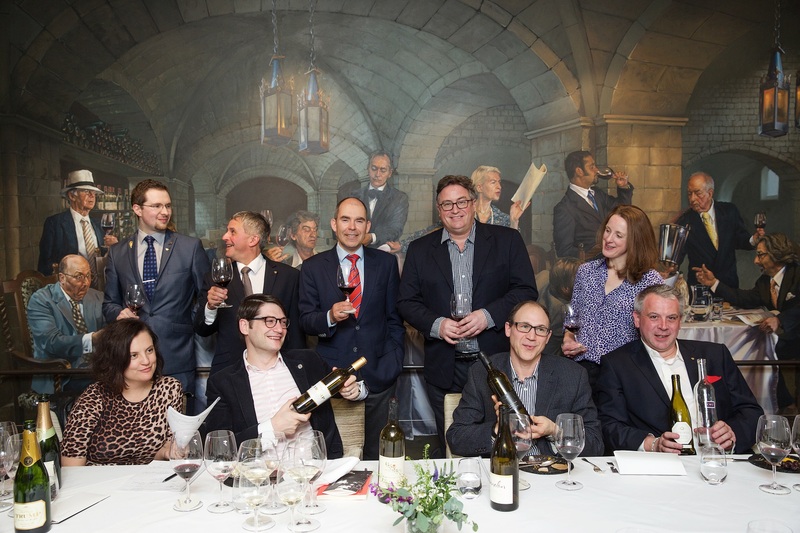 We then entered the dining room where a large canvas shows the original participants of The Judgement of Paris in a heated debate. We tasted two wines at a time, completely blind. 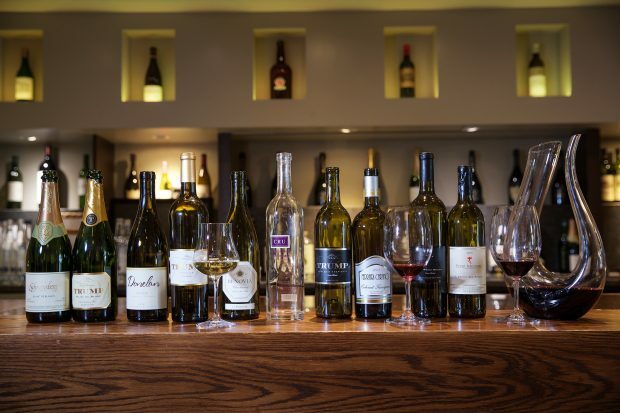 One of the wines in each pairing had to be Californian – the hotel restaurant is one of the most important importers of Californian fine wine in the country. But what was the other wine? Clearly, the other was not French. Maybe it was the whiff of bourbon on Wine 6 that gave a clue: NV Trump Winery “CRU” Fortified Chardonnay, Charlottesville, VA. Without knowing what it was, it was still a difficult wine to enjoy. A high alcohol, medium-sweet Chardonnay (fortified to 18%) – funnily enough, my notes read: I’m sure that a wine that smells of bourbon could be quite popular with some people. For the sake of full disclosure, I did vote for one of Trump’s wines in the pairings: 2015 Trump Winery Cabernet Sauvignon – lighter in style, surprisingly fresh (speaking of the cool climate in Virginia, quite different than the full-bodied Californian style), and it was more to my taste with food. The final score for the panel? California won all seven rounds; Trump: zero, nul point. The Trump Winery, managed by Donald Trump’s son, Eric Trump, is the largest vineyard area in Virginia. Of course: bigly. The wines are not available in the UK or Europe, and even if they were – apart from the novelty factor of seeing the hyperreal bling labels – there are better value wines for your money, even compared to the top-tier Californian wines we tasted against the Trump wines. But it’s not just about wine, anymore. The wine is hyper-normal. It is a simple symbol with complex politics behind it – what does the Trump Winery say about immigration policy, climate change, tax affairs? Ride up in the gold lift, see the Trump name everywhere, but this (what is now) a political wine left me feeling quite queasy on the way down.